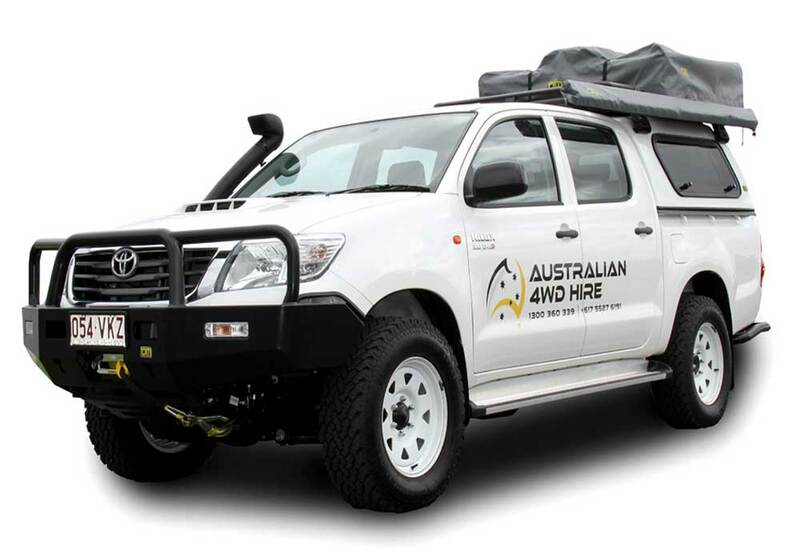 Australian 4wd Hire is a 4wd vehicle rental company with branches throughout Australia, some vehicles have roof tents which is why we included them on this site. but we are particularly interested in Clause 8 of this company’s T&Cs about tracking the vehicle. We are also interested in Clause 5 Part j. Which discusses the ability of a renter to post on a public forum website after their rental is over. 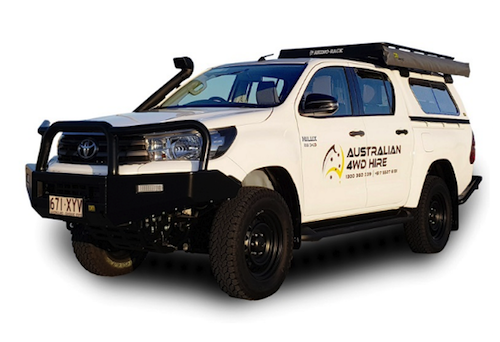 Delivering a complete range of 4WDs for tourism and travel, as well as civil, commercial and mining purposes, Australian 4WD Hire has a decent amount of vehicles available in Australia. 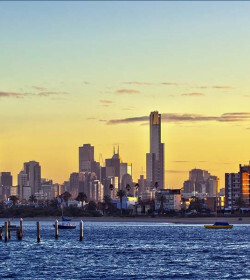 Whether you want to to travel Australia for a couple of days or for weeks, the extensive options from Australian 4WD Hire makes you want to explore the rugged roads even more. In reality, 4WD hires with off-road capacity can be pretty expensive with any company, and Australian 4WD Hire is not an exception. The rates are something that you need to invest in, considering there are minimal rental companies that allow their 4WDs to be driven on dirt and unsealed roads. 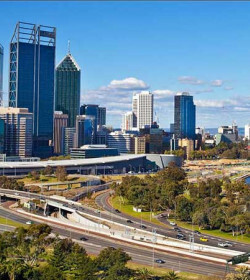 And for travellers who want to experience a fun and exciting self-drive holiday, the company's bush campers selection helps you achieve the outback Oz adventure. Plus, no limits on kilometers! 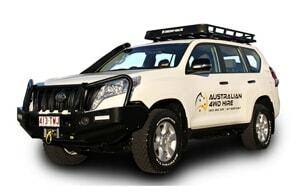 All vehicles from Australian 4WD Hire fleet are simply painted in white with some marketing hints. These units vary from its key purposes— mining, civil construction, commercial and recreational travel. 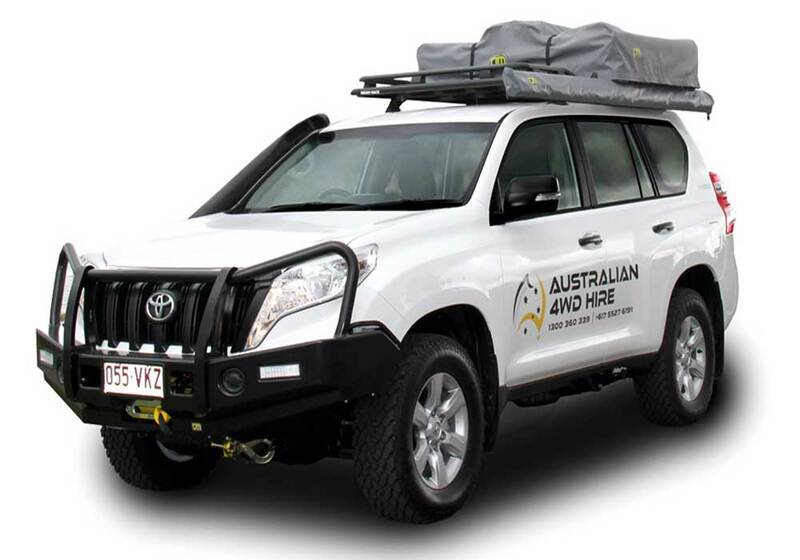 The Australian 4WD Hire bush campers, in particular, are designed for off-road destinations, as long as these are included in the HEMA maps, and are safe and open for travel. 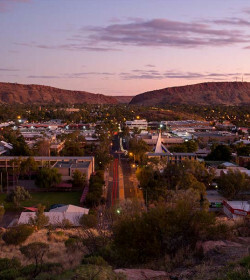 Some of the places that are allowed to be explored by the company's bush campers, which are normally not permitted by most 4WD hires, are Kimberley, Cape York, Bungle Bungles, Michelle Plateau, Kakadu Parks, Moreton Islands and the list continues. These bush campers range from light to medium to heavy duty, with a maximum number of 5 passengers, except the XL GT that extends up to 7 people. The bush camper rental already comes with complimentary camping equipment that includes camping table and chairs, bed, ground/ rooftop tents, ladder, cargo bag and more. Let's begin the fleet of bush campers with the Canopy GT. This model used to be based on the Nissan Navarra and Mitsubushi Triton until a fleet wide upgrade to the Toyota Hilux took place in 2018. This released the restriction on this model being light off-road only as the Hilux is a much tougher vehicle - it can now go wherever the other campers in the fleet can go. Not to mention in the event of a breakage, there are more Toyota parts around in the outback than any other brand. This specific 4WD has a sleeping capacity of 5 persons with the help of its camping ground tents. Only bush campers with GT provide ground tents (GT), and the other type, the RTT, supplies roof top tents (RTT) and Annexe tents instead. Another 4WD canopy is the RTT, which means it comes with rooftop tent and Annexe tent, and not those camping ground tents. This unit is okay for off-road compared to the other 4WD canopy, but both can cater up to 5 people. There aren't much difference with the two, except for the fitted out tent handle for this one. So, if you opt not to sleep on colder grounds at night, then the RTT is for you. The other medium-sized RTT is a nice option for those looking some added space. This one also has a sleeping capacity of 5, which leaves more than space for all passengers. However, compared to the medium GT, there aren't much storage for your stuff because the roof rack basket holds up the rooftop and Annexe tent. For extended space, the Large GT will suffice your needs. This unit has a more slanted bull bar compared to other vehicles on set that smoothly hugs the frontal shape. Since this is a GT type, the top of the vehicle comes with a sturdy roof rack basket that can be used to store outdoor equipment and other stuff. The Large RTT is almost the same with the Canopy RTT, except for the bull bar fit-out. This one easily follows the shape of the frontal area than the canopy unit. Nevertheless, they have the same features, with rooftop tent and Annexe tent as sleeping quarters good for 5 persons. For those travelling with bigger number of travellers, the XL bush camper is the answer. Equipped with bigger sleeping dimension, the XL GT, in particular, is the only bush camper that can sleep 5 to 7 people. Bigger groups can surely utilize the extended sleeping capacitiy, but just a heads up, you will all be sleeping on the ground with the provided camping ground tents. In general, these campers have off-road insurance but you may still want to avail of one of their security bond or excess reduction options. The insurance excess options are as follows: $5, 000 at no additional charge, $2, 500 for $15/ day, $1, 500 for $25/day— all for driver over 25 years old and $5,000 for $50/day for driver over 21- 25 years old. Windscreen, underbody, tyre damages, and damage incurred while reversing is not included in the insurance. And since you are handling 4WDs, it is best to read the fine print carefully to know the specific roads that are permitted and not, as well as the coverage included in the insurance. Just like any company, this rental business still have certain limitations when it comes to travelling the off-road. Australian 4WD Hire received a lot of poor reviews back then but still they have continuously provided unique rentals for adventurous individuals. Some reviews noted that their rentals were a disappointment because of heaps of limitations; hence, costing more money on rental. Also, the rates aren't that cheap. 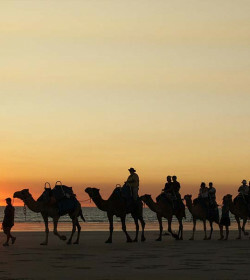 Australian 4WD Hire is definitely one of the few 4WD rentals in Australia, making it attractive to adventure-seekers. But considering the nature of rental, it is advisable to carefully read the contract— the dos and dont's so that the rental will not cost you a fortune . 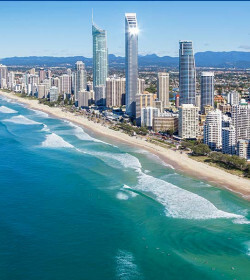 What a great way to see Australia! Me and my brother rented a car to drive up from Adelaide to Darwin. The car was clean and fully equipped for the trip! 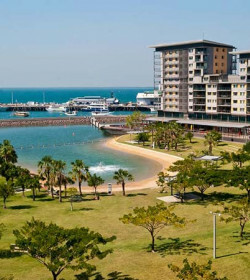 Both in Adelaide and Darwin the service was professional and helpful and we could not have had a better journey! I highly recommend this company if you want to go out and explore Australia in a 4WD! Thank you very much for your review M. It is great to hear that you were happy with the service you received from both of our agents and that you enjoyed your trip. We look forward to assisting on your next 4WD adventure! The service and all communication were excellent, all questions were answered very fast and satisfying! All persons working for this company were very friendly and very obliging. All payments and also security bond handling were very easy, there weren't any problems. Security bond was payed back very fast. The vehicle we booked - a Toyota Land Cruiser Prado - was in a perfect condition and it was very reliable all the times, no faults, problems or issues. The roof top tent, annexe, chairs, table and all other additional camping gear and recovery kit (including an air compressor for the tyres) were of high quality and very functional. We used the vehicle amongst others on some 4WD-only tracks, e.g. in Ngarkat National Park (very sandy track, low tyre pressure recommended) and a bumpy and very rocky track to Memory cove in Port Lincoln National Park. We could handle all passages without any problems, the car is perfect fitted for 4WD! On the other side the car is very smooth and very silent on sealed roads. A perfect choice for all road conditions! In summary we can only recommend this company with their friendly people, their excellent service and their reliable cars! Thank you very much Juergen. It is great to hear that you enjoyed your trip and that the vehicle and equipment were well suited to your needs. We look forward to assisting on your next 4WD adventure! Good customer service in pick-up and return. Great value. Rented vehicle in perfect working condition and well maintained. Includes contained but more that enough recovery kit for prudent and careful use of the car. Rented a Jeep Wrangler Sport and enjoyed it on Fraser Island. Will rent with them if I go back to QLD. Thank you Angel, we are very glad you enjoyed your trip and that the vehicle was well suited to your needs. We take pride on our service and are very glad to hear that it was up to scratch. We appreciate your business and support and look forward to assisting you on your next 4WD Hire! "Great car for a great price!" Toyota Prado has been the perfect cruiser to relocate this car from south to north Australia for a very reasonable price. Comes with everything needed. Rooftop tent works very well, also for people who prefer glamping! Thank you very much, we are very glad you enjoyed your hire and look forward to assisting on your next 4WD adventure! Picked-up the car in Rothwell, personnel where very easy going and 100% correct from pick up to delivery the car back. Bond returned in 2 days. Toyota FJ Cruser: 100% the car we wanted, did 8000Km including the Oodnadatta & Birdsville track and Mareenie loop. love to hire from them again in time. Thank You Timo, we are very glad you enjoyed your trip! We look forward to assisting you on your next trip! We’ve just had the best family holiday using a hire car from Australian 4WD hire. The car and equipment were perfect for our camping and off road needs. We’ve visited stunning locations that would be totally impossible without a 4WD. The staff at both the Perth depot and the customer service office have been exceptional in all aspects. I 100% recommend Australian 4WD hire and I will definately be using them again! We are very glad you enjoyed your trip and that the vehicle and equipment were well suited to your needs, and that the customer service you received was helpful and professional. We look forward to assisting on your next 4WD adventure! "A lifetime adventure made possible!" Rented a 4wd for my 25-day road trip. Excellent customer service starting from the quotation to the pick up and drop off of the car. Easy to get in touch even while you're travelling. Bond back in 2 days after drop off. Equipment in perfect condition and very useful. I can only recommend AUSTRALIAN 4WD HIRE. Hello Leonardo, Thank you very much for your kind review, we are very pleased that you enjoyed your trip and look forward to assisting you on your next 4WD adventure! 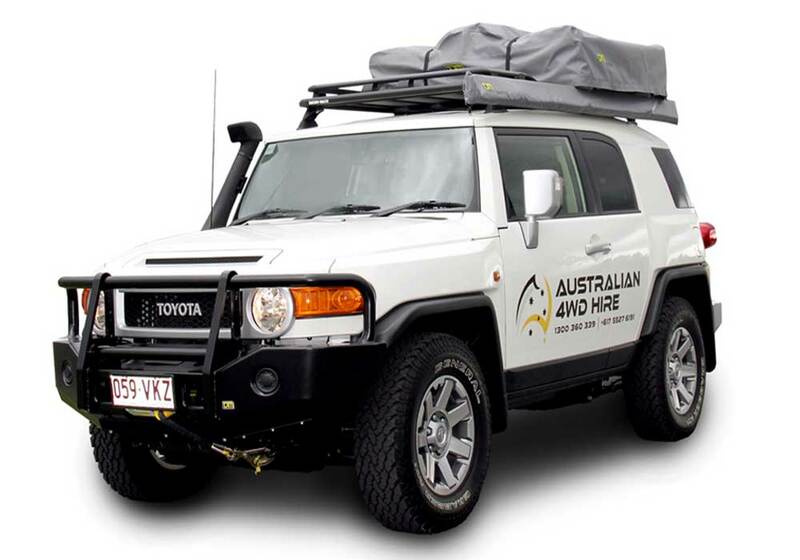 "Fantastic car for a fantastic trip"
We had a very successful experience hiring through Australian 4WD. The customer service was polite and efficient. We had to extend the booking twice and this was done quickly and easily. Other payments were fast and well-handled. We used the vehicle for a 12 day road trip around Western Australia including some light off-roading. The car handled everything with ease and style. The equipment inside the car was good, too. We received the same vehicle that we booked and we were extremely happy with the quality of the car. Thank you very much for your review L. Christopher. It is great to hear that you enjoyed your trip and that the vehicle and equipment were well suited to your needs. We look forward to assisting on your next 4WD adventure! Me and my dog went on a roadtrip into QLD outback (from Brisbane). I picked up the Toyota Hilux with the roof top tent from Australian 4WD Hire in Rothwell. The guy I dealt with was very friendly and gave me a lot of his time. He gave me advice about the roads near Mt Isa as it had just been flooded over that way. The car was in fantastic condition with zero complaints. All equipment was provided and the roof top tent was a breeze to set up. No issues throughout the whole trip and would happily use their services in the future. Andrew, we are very pleased that you and Zephyr had a wonderful trip. 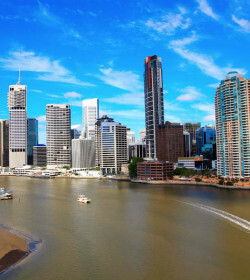 It is great to hear that Tony in Brisbane provided you with top notch service and the vehicle and equipment suited you well for your entire trip. 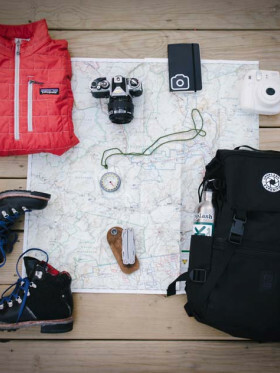 We certainly look forward to helping you on your next adventure so don't hesitate to get in touch. All the best! "Amazing Roadtrip - Amazing 4WD!" We are very glad you enjoyed your trip and that the vehicle and equipment were well suited to your needs. "A great 4WD hire company!" I recently hired a Jeep Wrangler from these guys on a trip over to Perth as a 4WD is a must if you really want to visit the most beautiful places in Australia. Besides it handling amazingly off road and on beaches, it was an extremely nice car to drive inner city and to the more accessible tourist locations. It was clean and tidy from the beginning and their customer service and communication was great and quick to respond. Super happy with my hire! Payment was made easy via card and the bond processed on location. Nothing to fault here! Thank you J. Its great to hear you enjoyed your trip and that we were able to assist you in visiting such wonderful places. We look forward to assisting you on your next 4WD adventure! "Outback WA, Zero asphalt drive"
We had a great trip around the central WA back roads. The vehicle was great. Performed well, as did the supplied equipment. Even the roof top tent worked well. We were two guys and I was sceptical that the sleeping area would be a tad cosy..... it wasn’t and in fact plenty of elbow room. The pub building is the only remaining structure in the abandoned WA mining town of Big Bell. A 20 year mining boom from 1935. Broken Dreams! East of Cue. The only inhabitants now were snakes and Roos. The London Bridge is in the Nature Reserve on the outskirts of Sandstone WA. The art .... caste iron figurines- at least 20, planted out in the vast lake Ballard - just NW of Menzies. “Why?”, one might ask. Thank you very much for your review S, we are very pleased that you enjoyed your holiday and that all of the equipment and the vehicle were well suited to your needs. "Perfect setup for a family adventure"
We had a beautiful time camping with the Hilux in the national parks around southern Victoria. The gear was very practical and well maintained and the car was very well serviced. Our boys loved sleeping in the rooftop tent! The company staff was very friendly and helpful. We got our bond back fast without any problems. The contract details could be clearer but for the rest we were very satisfied. Hello Sonja, thank you very much, we are very glad your trip and that the vehicle and equipment were well suited to your needs. We look forward to assisting you on your next 4WD adventure! After a lot of comparing all available 4wd Rentals in Australia, I decided to go for Australian4WDHire. If you are looking for well maintained 4WDs, with quality equipment, an excellent support and a reliable team of service professionals: Australian4WDHire is your choice. After several offroad trips in Namibia and Botswana, it was time to explore what Australia had to offer. We did a 9 day trip: up to Coral Bay and from there offroad along the coast towards Yardie Creek thru Cape Range National Park and return the same way. It was not much time, but we wanted to get a first impression of Western Australia off road. Terrain included beach driving, boggy sand and some rocky sections. Our Toyo Hilux was in mint condition: latest model, low mileage, clean, with a well maintained engine bay, interior and underbody in great condition and lots of quality equipment ranging from TJM, General Grabber Tires to Engel and Coleman. And even during our trip no issues whatsoever occured; the team really kept their promises. Speaking of the team: they did a fine job. From first contact to the end of our journey Jake and his Team, with Amber and Maryna, were very supportive and patient. I always felt well informed, with quick respond times and a very ingenious service. We had quite some changes in travel plans; and yet the whole team always kept patient and friendly and was really willing to deliver the right ideas. That was service at it‘s best! During the whole process we never had any issues with our payments: all rates were deducted correctly and our deposit was returned within 48hrs after our vehicle return. Again: if you are looking for a proper 4WD Rental Company, that knows their business, if you are willing to read terms and conditions thoroughly -and obviously are willing to stick to them-, if you know what off road driving means and you know how to apply the rules of common sense and if you are in search for a great time Down Under: go for Australian4WDHire. Thanks for an awesome time, guys! 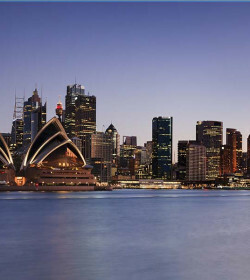 I will come back to Australia and for sure will let you know then! Thank you B.L! It is great to hear that you enjoyed your trip and that the vehicle and equipment suited your needs. We greatly appreciate your feedback and suggestions you have made for further improvement. Customer feedback is crucial for us to provide the best service possible and give our customers the best possible experience. We thank you again for your business and support and look froward to assisting you on your next 4WD adventure. "Brilliant 10 days in SA thanks to A4WD!" On a last minute holiday, we were lucky enough to book a Toyota Prado with Australian 4WD Hire for 10 days of fun in South Australia. Paul, the local agent in Adelaide was super friendly and laid back which put as at ease right away, especially considering we had never been offroading in a 4WD. The vehicle was as described and included everything we needed for bush camping. Make sure to check the condition of everything before leaving the depot and speak up if you think something is not in great condition and make a note of it. We didn't need to, but things can wear out and break while out and about so better to be sure. We took the 4WD on unsealed roads - nothing too extreme, mainly gravel/sand/small rocks etc. and it performed great. Again as a first time offroader - we felt comfortable the entire time and did not doubt the car once. We will be hiring with A4WD again and we'd highly recommend them if you're are looking for exciting outback adventure! Thank you Adam, We are very pleased to hear that we were able to make your holiday possible and that the vehicle and equipment were well suited to your needs. We are also glad to hear that you plan on returning and look forward to assisting you on your next 4WD adventure, please do not hesitate to contact us at anytime! "Great 4WD - Clean Equipment - Superior Customer Service"
The Prado I rented for the last ten days was in perfect condition and it was a pleasure to drive. As promised, all the equipment- truck, tent, refrigerator and camp gear were spotless. My daughter and I had a great trip which was due in large part to your Australian 4WD team. I will definitely be renting from you again. Thank you for you kind review, we are very pleased that you and your daughter enjoyed your trip and certainly look forward to assisting you on your next 4WD adventure! "Perth to Albany in style." Having arrived in WA with no idea what was in store, as soon as we entered the A4WD office we were made to feel at ease. An abundance of information and detailed walk through of the vehicles made us feel at ease right away. It set the tone for our adventure in these new and well maintained off road vehicles and it proved to be an amazing experience for our family whilst on the road. On return we did make a couple of superficial dents to the vehicles and we happily used our bond to ensure the damage was fixed for the next clients. These things can happen when on the road and so we budgeted for it accordingly. these trucks are so well equipped but it definitely pays to check over all the equipment to make sure you have everything you need for this trip. R. Taylor, thank you very much for your business and support! It is great to hear that you enjoyed your trip and that the vehicle and equipment were well suited to your needs. We also sincerely appreciate your forwardness and cooperation with respect to the minor damages. Of course it is never fun when these things happen and whilst they are a rare, they do happen from time to time and we always do our best to communicate things clearly to ensure customers receive the best service no matter what the case. It always helps when customers are understanding and cooperative, so for this we thank you. We wish you all the best and look froward to helping you on your next 4WD adventure! "Sonn back to Australia, i know mi choice of car hire company! Australian 4WD Hire"
I was hired a 100 series Toyota, with nice V8 4.7lt engine, all the necessary toys to go camping and the car had double gasoline tank which can save you lots of money in Fraser island and other places. car worked perfectly. USB cable provided with nice sound system to plug-in my iPod. Can't complain.... price was good. Thank you for your review! We are very happy to hear you had such a good time and that the vehicle was well suited to your needs! Fraser Island is a wonderful place to explore and we are very happy that our vehicle allowed you to see the best parts of it. We look forward to assisting you on your next Australian 4WD adventure! "Easy to deal with staff, fast responses to emails and calls, great car, will use again this year for another trip"
Thanks for a great car, a once in the lifetime road trip from Adelaide to Perth topped off with excellent customer service throughout the booking and handing in process. Special thanks to Jake and the fleet management team. Thank you J. We are very glad we could assist you with your wonderful trip and look forward to helping you on your next one! Thank you for your business and support. "Great trip, thanks to a great car!" My experience with this company was good. 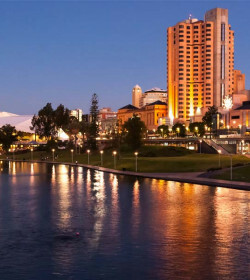 I hired a Toyota Hillux for two months to travel from north Australia to south west Australia. The car was great (good condition, clean and what I expected and needed for the trip) and pick-up and drop-off went smoothly. The camping gear that came with the car was also of good quality. I really appreciated the tire pressure pump included in the recovery kit as I understand from people I met along the way that those are not always included by other companies. Finally, when I encountered two minor issues with the car the company's response was quick and helpful. Hello Iris, Thank you very much for your review. It is great to heart that the vehicle was well suited to your needs and that any issues that you experienced were handled straight away. We certainly appreciate your business and support and look forward to helping on your next 4WD adventure! !